Tech News January 2017-Lucky 13 Industrial Ethernet Connection Options at ASI! 1 Ethernet Cable to a 8 Position EZ-to-wire terminal block. 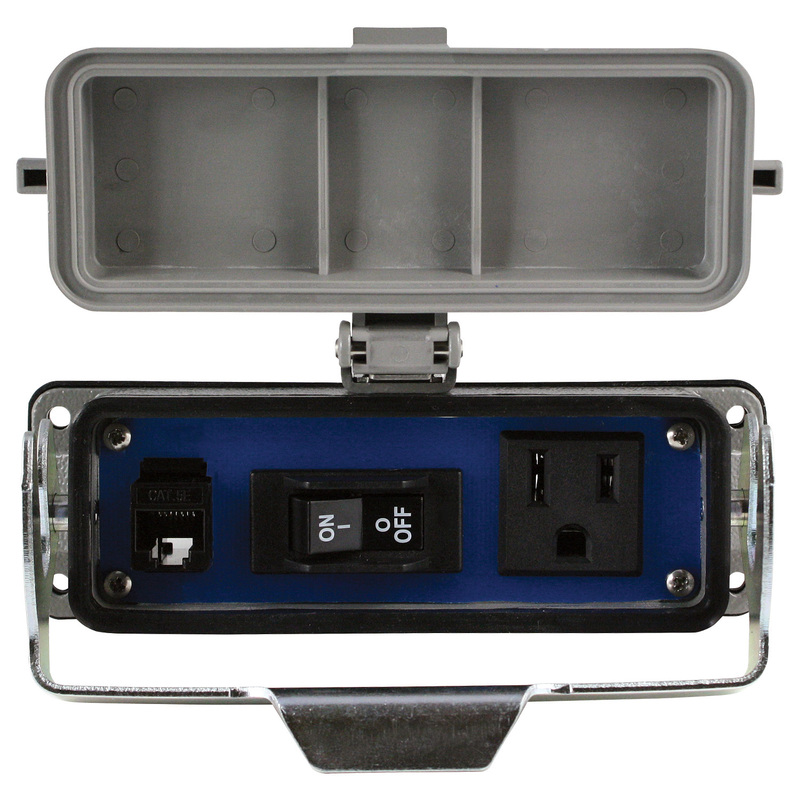 of Space with an Easy to install snap-on module. 3. IMRJ0845-1X3, 16013 Most Compact, EZ-to-install 3 Position Ethernet Patch Panel on the Market! Easily Connect 3 Cables together in only 1 inch of space. 4. 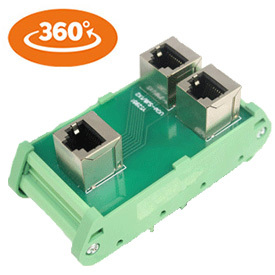 IMRJ0845-2x3, 16023 In less than 2 inches of DIN rail space you now have an Ethernet Patch Panel that gives you 2 Sets of 3 RJ45 circuits connected together. 5. IMRJ0845-3X3, 16033 Convenience, EZ Installation, Compact Size make this 3 X 3 Ethernet Circuit Patch Panel Module one of our most popular products. And at a price under $50 you can see why. 6. 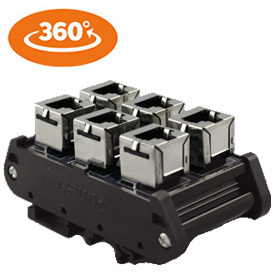 RAI-RJ45S Robust, Tuff in a Heavy Duty Aluminum Housing with a Locking Cover this Through Panel RJ45 Ethernet Connection is great for machine tools, and assembly equipment in a factory environment needing NEMA 4 & 4X rating. 7. RAI-SAC-201 Want AC with that Ethernet Connection? 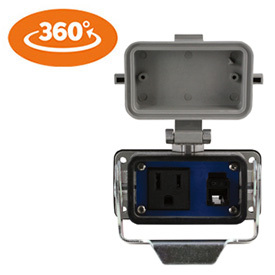 You got it with this combination through panel heavy duty panel interface connector that has a Single AC Outlet with a RJ45 Connector. 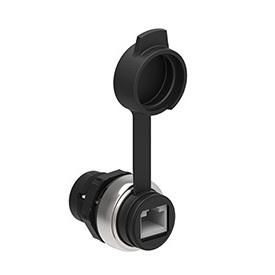 The locking cover provides for NEMA 4 & 4X rating. 8. 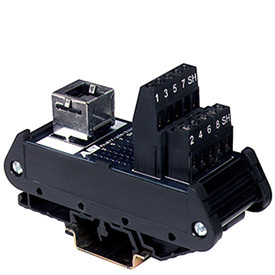 RAI-SAC-RJ45S-CB-3 Great combination of AC Outlet, Circuit Breaker and RJ45 Through Connection make this a panel interface connector that will do it all in your Industrial Ethernet application. 9. 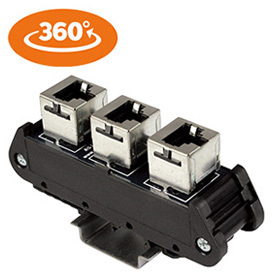 ASICPICRJ45S You decide, customers are finding this to be the Best Value Online for a Through Panel, Bulkhead RJ45 Connector. It is shielded and capable of being used in waterproof, weatherproof NEMA 6P applications when used with a cap. At less than $10.00 each it is a lucky find! 10. ASI LPCD06 Need an IP69K rated Bulkhead or Through Panel Ethernet Connection, you are lucky because here it is! Industrial Ethernet Connection Products? ASI has you covered! 11. 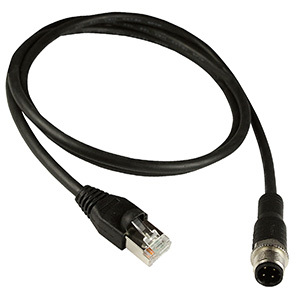 ASI-M12-RJ45-11101 Check it out, 1 meter Cat5e M12 to RJ45 Cable with a black PUR jacket, SFTP, 24AWG for less than $20, In-Stock and Ready for Delivery! 12. ASI-M12-RJ45-11103 Need something a little longer, this 3 meter Cat5E M12 to RJ45 Industrial Ethernet Patch Cable. 13. 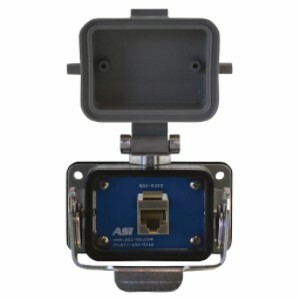 ASI-M12-RJ45-11105 For those long Industrial Ethernet cable runs this 5 meter, M12 to RJ45 should cover just about any application in those bigger machines and systems. Our price will save you at least 50%! The need for a more robust cable in industrial applications continues to grow as the integration of the Industrial Internet of Things increases. ASI helps you meet that need with our high-quality bulk Ethernet cable. 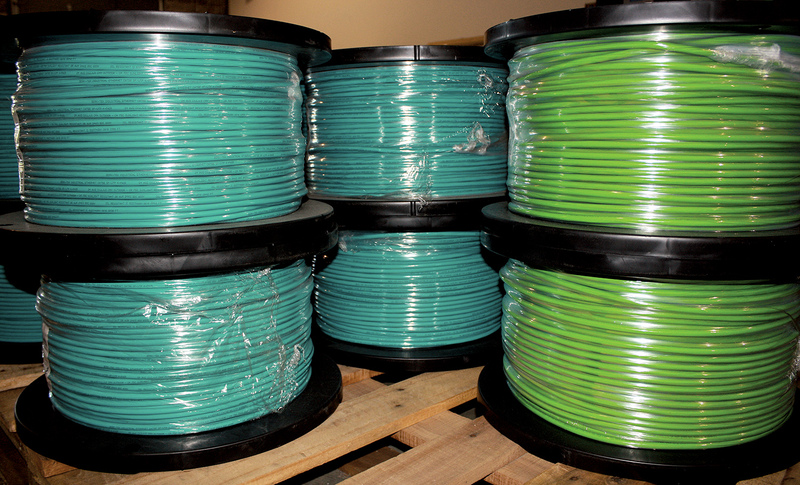 Available and ready to ship, we offer 1000 foot reels of industrial grade Cat5e, Cat6A and Profinet Cable. What are you waiting for as you can see ASI has all of your Industrial Ethernet Wiring Options wrapped up in these 13 Lucky Products. 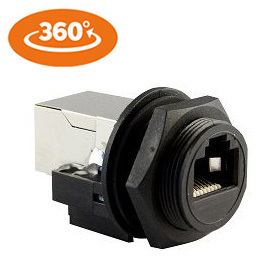 If you do not see what you are looking for give us a call, you might find that we can offer well beyond these 13 plus Industrial Ethernet Connection Options!